Located 10km from Interlaken (Bern canton, central Switzerland), the village Isenfluh (alt. 1,100 m.) faces the majestic Jungfrau (literally "young woman" in German) which was inscribed on the World Heritage List of UNESCO in 2001 and reaches a towering height at 4'158 meters. On the heights of Isenfluh is the "Berghaus", alpine center for Action Biblique Churches , recently renovated and comfortable (elevator, dining room panoramic view etc. ), open to anyone who wishes to make contact with the Word of God, relax in a quiet place within a peaceful environment. Each year, a dozen trips are organized for youth and adults, families and single people to this pleasant location for vacationing and listening to the Word of God. Since 1943, the date of the inauguration of Berghaus, thousands of people have deepened their knowledge of God the Creator and Savior. The majestic Jungfrau which faces Village Isenfluh. The Jungfrau is a summit of the Alps individualized entirely in Switzerland in the massif of the Bernese Alps. 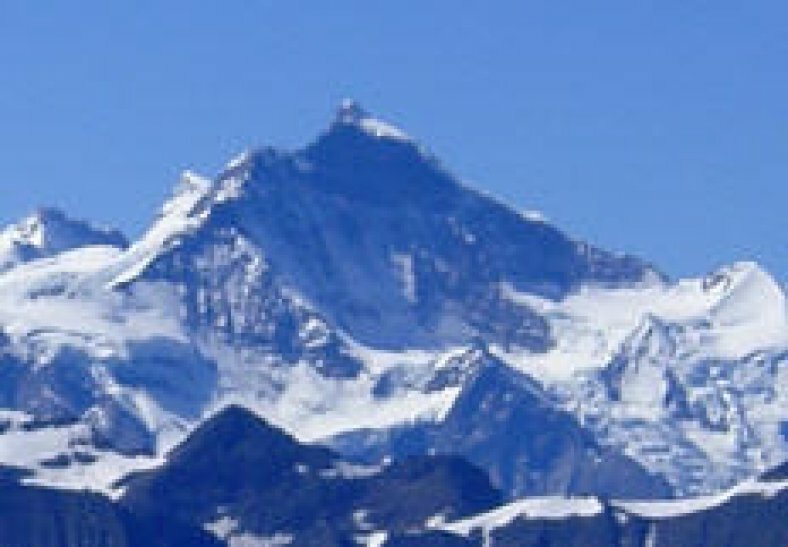 With its neighbor the Eiger and Mönch, it forms a triptych, with an alignment of north faces.